Designed to settle on the river property it was named after, this main floor and second level design offers extra grand timber frame living space under the stylish structure off the vaulted great room. 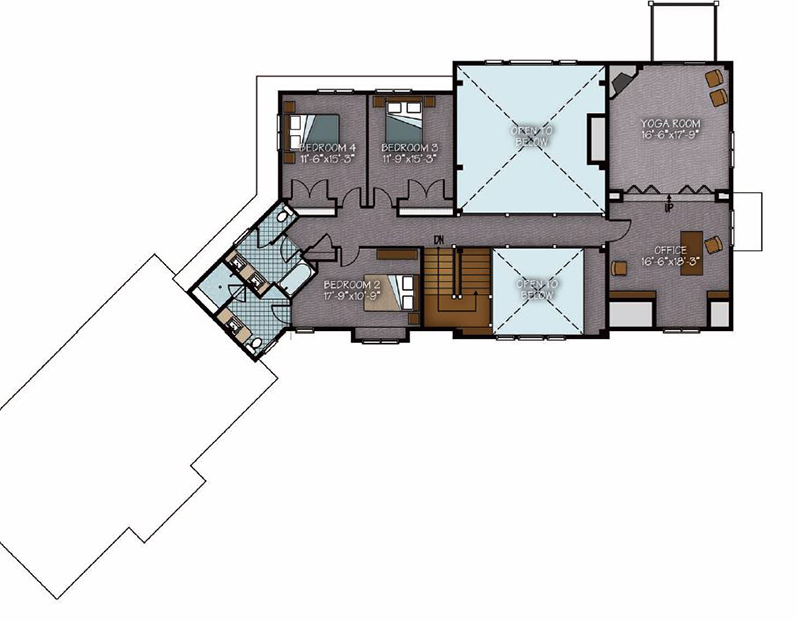 Three bedrooms, a workout room and additional living space on the second level all touch on the balcony views of the lower level. 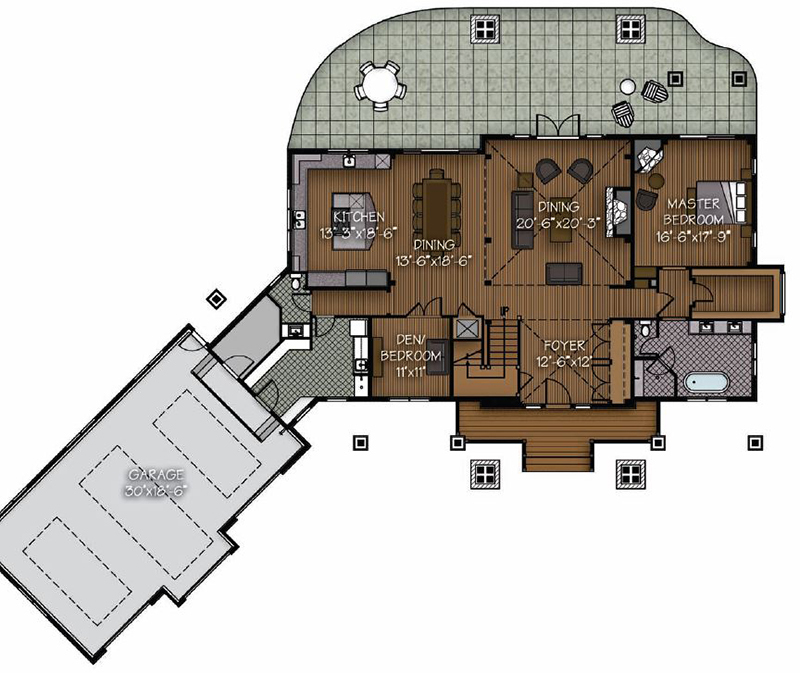 The master suite is found on the main floor along with a den and open living space throughout.